Offering a home to an adult shelter dog, is to me at least, one of the most rewarding experiences that a person can have. Not only have you got yourself a wonderful new companion, you have taken a dog from a stressful situation, and perhaps even saved it from an untimely end, and we have nothing but utter admiration for those that take this route. However, are you really prepared for this new arrival? When we take a pup into our homes, we are presented with a clean slate, and it is how we interact, socialize and train that pup which will produce the end result. Yes, there is always the aspect of nature (personality, genetics, etc) interfering in our nurturing attempts, but overall the possibility of a successful outcome is high if we do our side of things in the correct manner. An adolescent or adult shelter dog is a totally different kettle of fish, as the saying goes. The dog may have ended up in a shelter due to its owners relocating, downsizing etc, but so often the dogs we have worked with that were rescue dogs, ended up in the shelter due to a myriad of behavioural problems. What makes this especially sad is that if the owners had more knowledge of their dogs and how to handle them, so many of these abandoned dogs would have become well behaved members of the family rather than end up as a statistic. This is one of the main reasons that we decided to create the FOTD website, Friends of the Dog – to give people the knowledge they required and to assist new owners with the integration of the new dog into the home and help resolve and prevent behavioural concerns. .
Our own experience of working with a shelter dog is that when it first comes to the new home there is what we refer to as the ‘twilight period or honeymoon period’. This is a time period of approximately 3 weeks wherein the dog seems to settle well, is reasonably well behaved and the behaviours that caused it ending up in a shelter seem to either be put ‘on hold’ or have disappeared altogether. So often after the 3 week period is up, these dogs slowly and surely start to exhibit the unacceptable behaviours that ended them in the shelter in the first place, and this is when the trouble starts occurring. We believe that as we have the 16 week opportunity of teaching our new pups absolutely everything and anything we can think of, so too do we, as owners of rescue dogs, need to put as much effort into the initial few weeks/months that the dog is with us as possible, to make the transition easier and reduce the chances of problem behaviours occurring, especially the first 3 weeks. 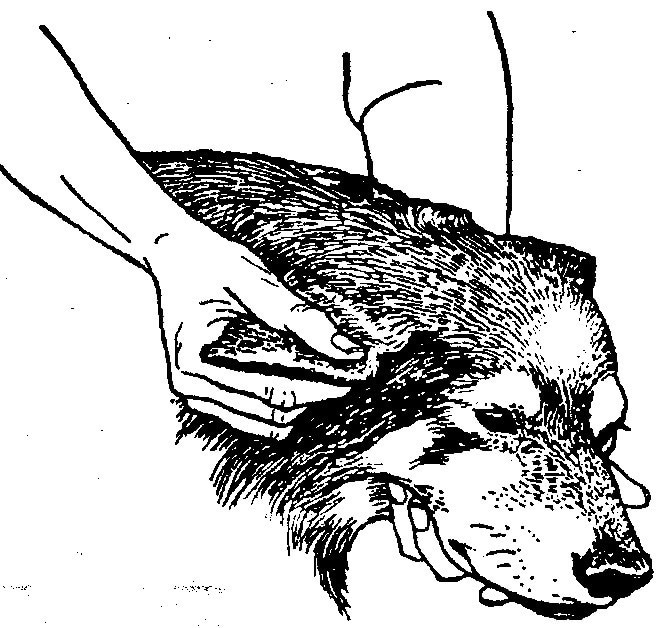 If we bear in mind that this dog has already had its own experiences, some of which may not have been pleasant, has ‘learned’ behaviours, often developed to cope with its previous home, is definitely traumatized to some degree by being in the shelter, then we can look at the dog with a new appreciation and understanding. 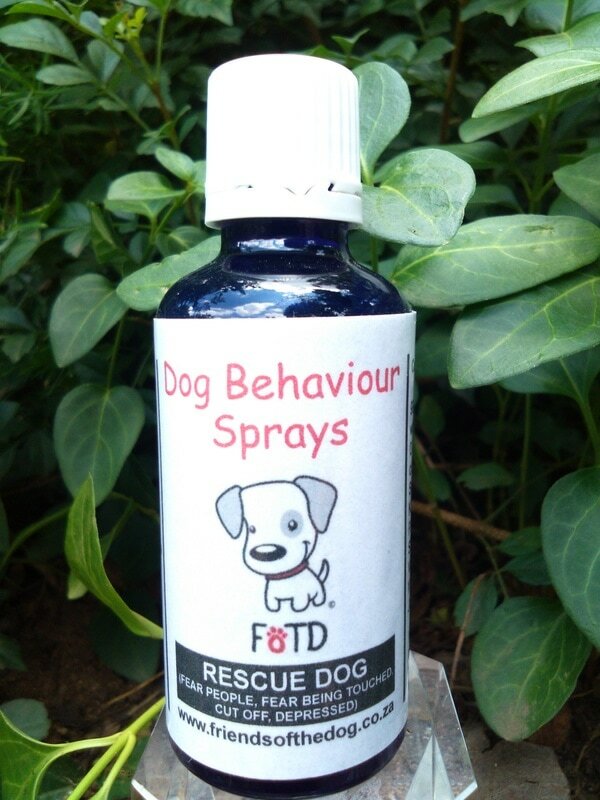 One of the best tools I have ever come across is the Rescue Dog Spray and if every single person who went to the trouble of adopting from a shelter just brought in the use of this amazing spray, then we are sure that not only would the dog settle quicker, many unnecessary behaviours which are stress induced could have been avoided. The Rescue Dog Spray targets and helps to overcome behaviours such as:- mental and emotional anxiety, any fears the dog may have in general, fear based on their past association with people, dogs that appear to be sad, depressed, seem to have shut down - fear of being touched and dogs that appear to be over sensitive., dogs that are desperate for owners approval and go OTT. In general, just about everything one finds with a Rescue dog. What we need to bear in mind is that when we are very stressed, our bodies release a hormone called ACTH which actually blocks learning. By lowering the dogs stress we are not only helping the dog to cope and adapt - we are making it easier for the dog to learn new and more appropriate ways of behaving.